Handmade from the very best materials in our Milan factory, the RE A espresso machine utilises digitally adjustable, pressure transducer technology to ensure optimum brewing control. We believe temperature stability is one of the most important factors in espresso machine design, the RE A is produced with superior thermosiphon system architecture to give stability and performance. 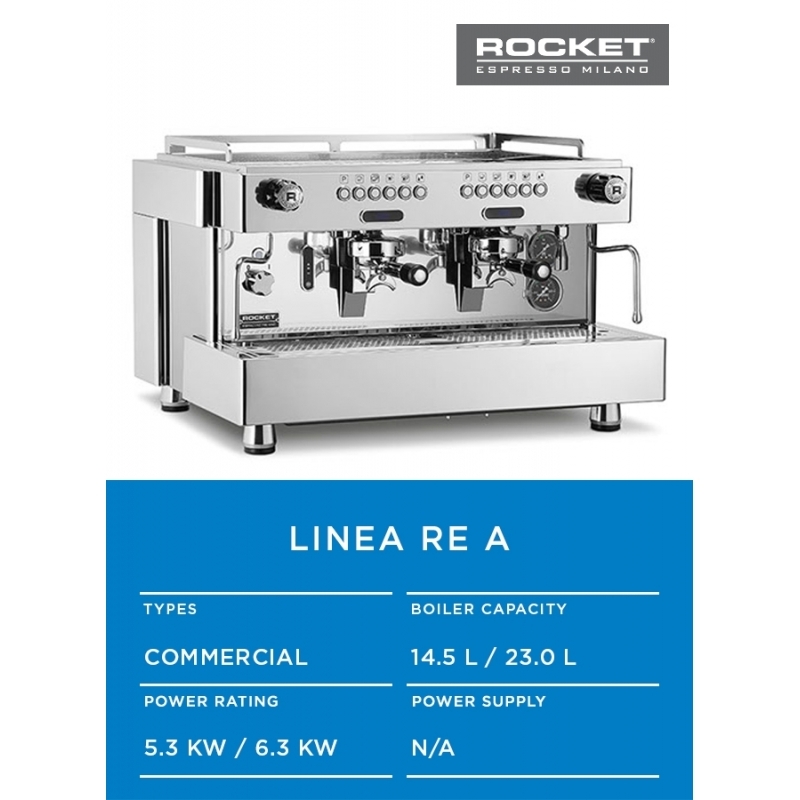 Performance and stability, Rocket Espresso.